On this one of a kind family friendly excursion, you will be the first to experience the best of Ocho Rios from Montego bay. 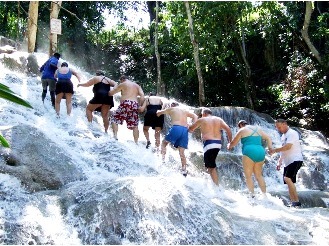 First stop is Dunns River Falls; a refreshing spot where generations of visitors have been thrilled by the guided 600 ft. climb up the falls. For those of you who are a little more adventurous and looking for a challenge, climb on your own up the rugged right side of the falls. Bryan was wonderful! We really enjoyed spending the day with him. He was very personable and we learned a lot about Jamaica on the car ride there. We had so much fun at Dunn's River Falls & River Tubing. The water was cool & the scenery around you for the tubing experience was beautiful. Would recommend this company, excursion and Bryan to anyone! Fabulous experience - would recommend it to anyone! I had a fantastic time and my driver was awesome. He stayed with us the whole time and made sure we got to each destination safely. I highly recommend this company and really loved the actual excursions- Dunn's River and River Tubing! Great Trip. Only thing I thought there might be food included with such a long trip. Paul was excellent and a very entertaining driver with lots of history about your beautiful country. We will be back and will ask for him again. At first, I was hesitated to book the tour with Jaital, because i am not familiar company. I worry that i cannot find them when I arrived. I worry that they will take off if I cannot find them or I will be late and I don't have access to call them back when I arrive in Jamaica. But everything turned out very smooth. I am glad that Jaital have tour guy for my family of 3 that save us a lot of time and the price fairly reasonable and cheaper that other company that I did researched and compared. We ended up give the driver very good tips. He is a very good tour guy and excellent services, and very helpful. My friend will travel next year,to Jamaica. I will definitely refer my friend to book their tour thru Jaital. Thank you for your honest services, Jaital. . I would book thru Jaital if i ever go back to Jamaica. We had a great time on our excursion in Jamaica. Our driver was very knowledgeable and made us feel safe and at home. Our driver did an outstanding job during our tour of Dunn's Falls Sunday July 3. He was extremely professional and had our safety always as the top priority. With that being said he made this trip extremely fun and amazing. He was truly the best!!!!! Thanks for allowing to have him show us your beautiful Falls. aul was wonderful!! He was professional, courteous knowledgeable and made our day fun! We had nothing to worry about as he took care of everything including place to buy water shoes, making sure we bypassed long lines with our tickets and was waiting for us when we finished our excursions. Paul was very friendly and flexible and I would highly recommend him and Jaital. My daughter and I Had a great time. 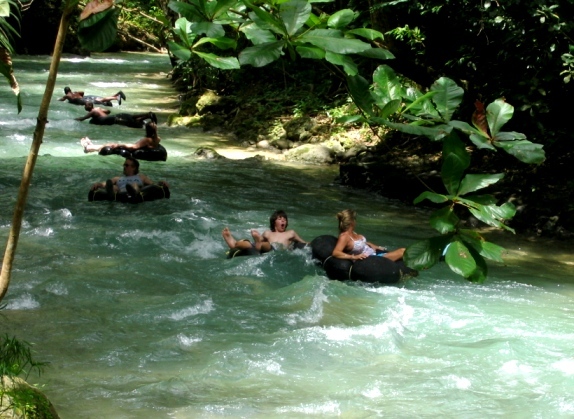 The falls and water tubing is a must when visiting Jamaica. Our driver was very friendly and was there waiting for us at the end of both activities. I highly recommend jaital for friendly, organized and easy excursions. My family had a wonderful time. 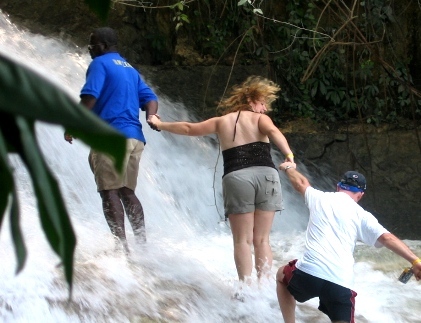 The Dunns River Falls excursion was our favorite. The ride to the River Tubing brought us through some interesting residential areas but that\'s to be expected. Our driver was fantastic. He had a great sense of humor and was very informative by offering up various facts and historical tidbits about Jamaica. He really made the 1 1/2 car ride very enjoyable. The river was so clean and beautiful and the rapids made it so much fun!!! Dunn Falls was amazing, you climbed all the way to the top with your very own personal guide, no rush, and take as many pictures as you want, NO PROBLEM MON! The falls was by far the best!!! We loved it and didnt want the day to end! 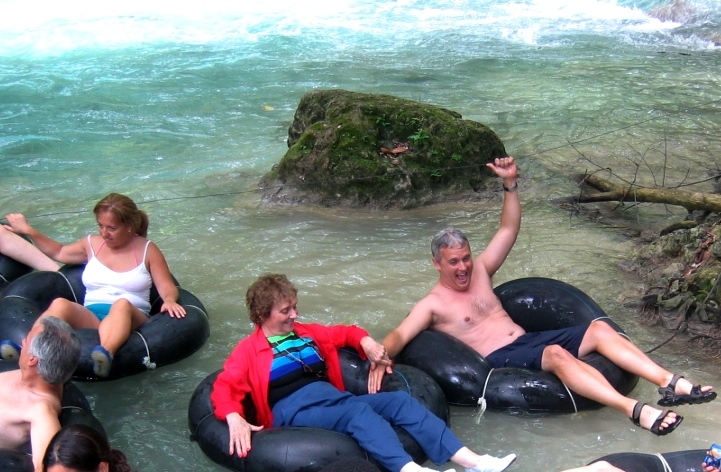 We booked River Tubing and Dunns River Falls through Jaital and paid less than ship price. Our driver picked us up promptly and we had the van all to ourselves. We decided to do the falls first and so glad we did. Relaxing in the tubing down the river was just we needed after the climb. Our driver waited on us at the end of each tour and took us back to the ship on time. Thanks for a wonderful day and we will definitely use your service again. Good experience-would book w you again. Bradford was excellent. The trip was lovely and the guide was very helpful and courteous. Thank you for everything. Thank you very Much , every single detail was excellent , Davell made our trip perfect as a driver & guide. Our tubing and river experience was wonderful! We truly enjoyed both. The tubing was especially amazing and the river was beautiful and tranquil. It was a most enjoyable time for us both. Thank you. We all had a very good time. It was a very nice private tour. Our driver took good care of us.He showed us where to go and always looked out for us. Thank you.